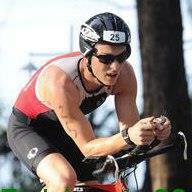 I specialize in working with beginner to intermediate triathletes, duathletes, & cyclists. With that said I'm always willing to lend assistance to those with different goals, please don't hesitate to contact me for more information. I'm a experienced triathlon coach, personal trainer, and overall endurance geek. I've been coaching athletes for over 7 years ranging from elite military warriors (while on active duty), to age group triathletes looking to compete in their first triathlon. For more information about me please contact me through BendFitness.net. I've raced and won a variety of different races including, duathlons (National champion), triathlons, XTERRA triathlons, Cyclocross races, running races, obstacle races, and more. Although I'm still competing I now focus my attention more on the athletes I work with. Success. Coach Bradley Haag has been notified of your message.